Thankfully, I don’t have to commute every day to and from work, but I do ride my bike around town to run errands, attend events, or go out at night. 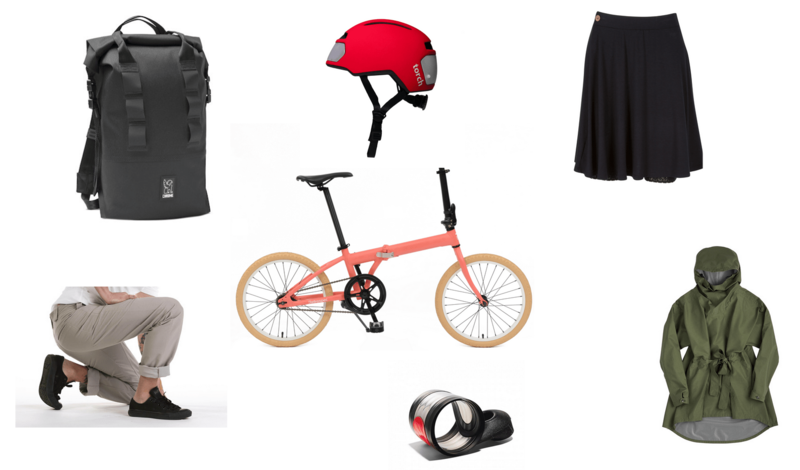 The following seven essentials I either currently use, or sit on my immediate wish list to round out my base bike commute kit. Torch T1 Helmet ($140): No need for a separate light with this bike helmet. The 10 integrated LED lights project on to polycarbonate lenses creating two large lit surfaces making you visible from 360 degrees, with 4 different light functions including flash and steady. The USB rechargeable batteries will run for up to 12 hours at a time. Eight air vents and interior channeling ensure you don’t get all sweaty on your ride to and from work. Nau Poncho Via ($275): As you ride by the Blazing Saddles in their $5 rain ponchos, you will ooze style in Nau’s version of this classic jacket. Made from waterproof, breathable hard shell fabric, the poncho is fully seam sealed with an external DWR treatment to protect against the elements. An adjustable belt can be worn two ways: completely cinched down around the waist or belted on the inside. Makers and Riders 3-Season Commuter Weatherproof Jean ($189): A product I wish they made in a women’s version, these bike commute jeans are created out of waterproof yet exceptionally breathable Polartec NeoShell fabric. Five deep pockets offer up enough storage space for your wallet, phone, keys, and other small items in these weatherproof pants that are stylish enough to wear off the bike. Bikie Girl Bloomers ($55): Made in Los Angeles, these fun colored bloomers are designed to add a little bit of modesty and comfort when you bike in a skirt. Mix and match the shorts with the Hitchable Flounce Skirt, made from a soft Modal knit fabric and featuring a skirt hitch that lifts the hemline to reveal a peek of your lace-trimmed bloomers beneath when riding. Retrospec SS Folding Bike ($319): I’ve been using this folding bike for everything from running errands around Mill Valley, to hopping on the ferry and meeting up with friends or attending meetings in the city. Weighing approximately 22 lbs, the bike takes only a matter of seconds to collapse, including the handlebar tube, top-tube, and pedals. Ride like a kid again with a single-speed setup and coaster brakes (just don’t try to get back up steep hills). This folding bike would be perfect for sailboat owners who need transport when they hit land or better yet, throw it in your suitcase to explore on your next vacation. Chrome Urban Ex Rolltop 18 ($120): This compact, lightweight, and waterproof daypack is truly versatile—I have been using it for bike commuting, traveling, hiking, business meetings, and even mountain biking. A 15″ Macbook fits in the main compartment, while an integrated iPad sleeve and organizer is great for shorter trips or quick meetings. You can carry the bag either as a backpack or a tote, while the 5-bar webbing on front of the pack comes in handy for storing your mini U-lock and even a helmet. Plume Recoiling Mudguard: In places with less than stellar weather, you need a way to keep all that rain and muck off your stylish bike commute clothes. Instead of a permanent accessory that sticks out the back of your bike, this mud guard recoils under your bike seat when not in use. 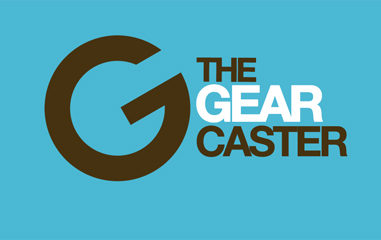 A simple and elegant solution to keep you riding year round.